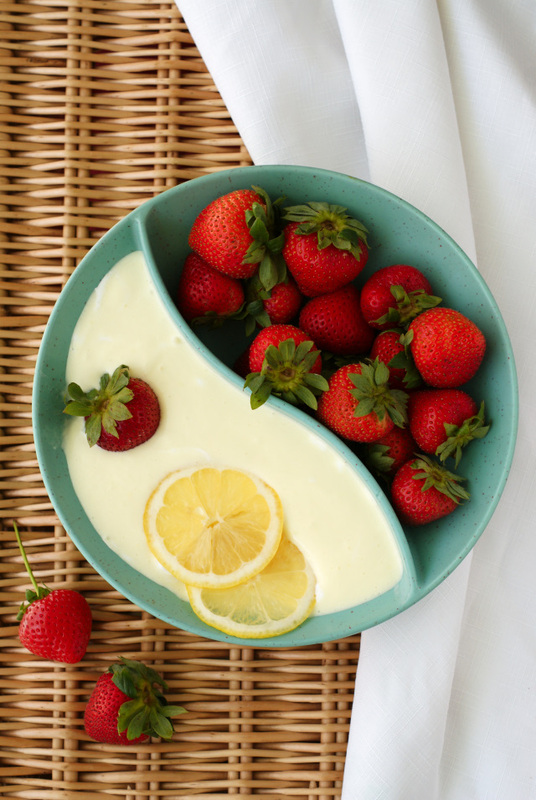 Lemon Fluff Dip is a sweet and creamy two-ingredient dip that is the perfect way to make your simple fruit tray extraordinary! The other day, my husband came home with a monster tub of fluff, as in, marshmallow fluff. Considering we haven't bought fluff in, oh, I don't know, a million years, I was kind of surprised when he impulse bought the big tub instead of the little one. His way of thinking is always the same, though. If you can get more product for less money per ounce, always buy bigger. "Save money buying in bulk," he says, which is a concept I am completely on board with, but my goodness that was a lot of marshmallow. I started brainstorming what I might make with all that fluff. But, somewhere around 2 weeks, 10 sandwiches, and a gallon of milk later late...I still had a ton of fluff. The kids eat massive amounts of fresh fruit, so I decided to whip up a simple fruit dip using fluff and yogurt. It was a nice sweet treat for the kiddos! They will eat the fruit without a dip, and they really don't need tons of extra sugar, but it's fun to spoil them a little every now and then with a sweet little surprise like this. 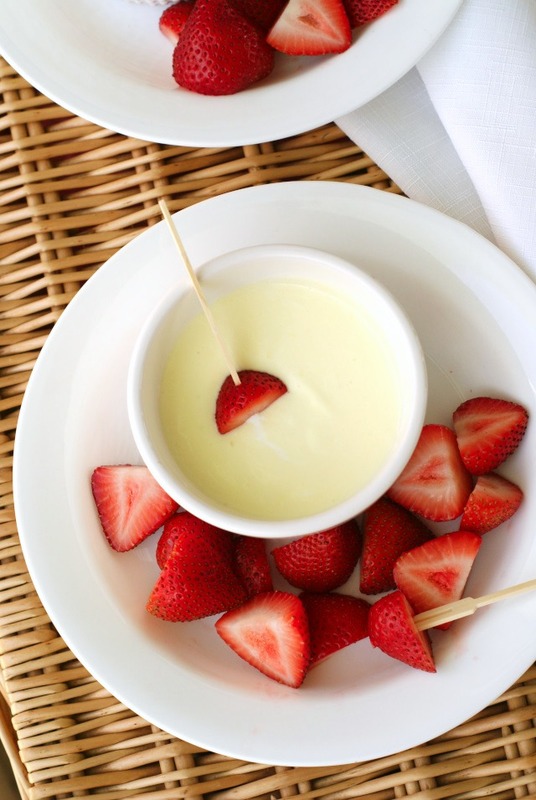 Make this simple dip to serve with fruit as an after school snack or serve it alongside a fruit tray at your next party! Stir together the marshmallow fluff and yogurt until well combined. Refrigerate until ready to serve. 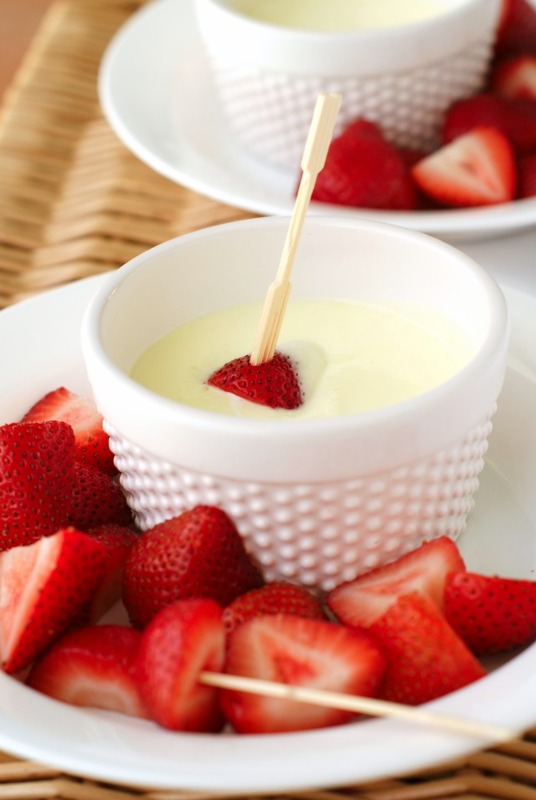 Serve with fresh fruit of your choice for dipping. This is a thinner dip, so it would also be good used as a dressing for a fruit salad or simply drizzled over fruit instead of eaten as a dip. Source: Adapted from Lemon Fluff found in All American Low-Fat & No-Fat Meals in Minutes. Holy moly. Want want want!